Year round sunshine, easy access to some stunning beaches and, yes, of course, this is the world’s theme park capital. If you’re considering Orlando as a vacation option but don’t want to spend all of your time upside down on a rollercoaster there are plenty of attractions in and around this major American city. It’s not hard to see why Orlando was the first US city to hit the 50 million visitors per year level - even New York City could only manage to reach 48.7 million. Orlando’s popularity is undisputed, as is the fact that many visitors arrive with their families primarily to indulge in the ubiquitous theme parks. But once you’ve spent two or three days enjoying the jaw-dropping rides it should be time to explore a little further to ensure you get the most out of your Orlando vacation. If you’re one of the millions of people taking flights to Orlando this year you’ll find that this is an extremely family-friendly vacation city. Orlando offers a wealth of modern restaurants, shopping malls, cinemas, museums and parks to explore. 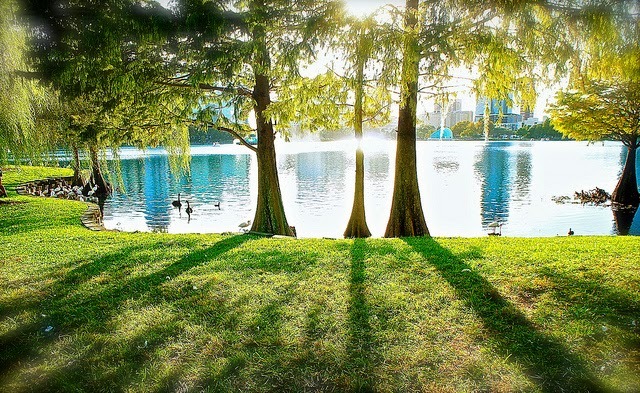 The city offers activities such as swan boat rides on picturesque Lake Eola, the chance to swim with dolphins at Discovery Cove and the opportunity to go ice skating or play basketball at the huge RDV Athletic Club. Visit deep into outer space and view the planets at the Orlando Science Center Planetarium or spend a day viewing over 500 animals at the immense Central Florida Zoo and Botanical Gardens. Travel to either the East or West coast from the city and you will find some astonishingly beautiful beaches. You’re never more than a 90 minute drive from famous East Coast Florida beaches such as Daytona and Cocoa Beach as well as the three kilometre family friendly Melbourne Beach. However, the West Coast beaches are truly stunning, especially the white sand islands at Fort de Soto Park. These five interconnected islands offer unspoilt beaches, an abundance of wildlife and crystal-clear warm waters; Fort de Soto has been named America’s top beach. Kids love getting back to nature and there are many excellent parks to explore around Orlando. For some great outdoors activity visit the Blue Spring State Park to spot the famous manatees on a river boat cruise. 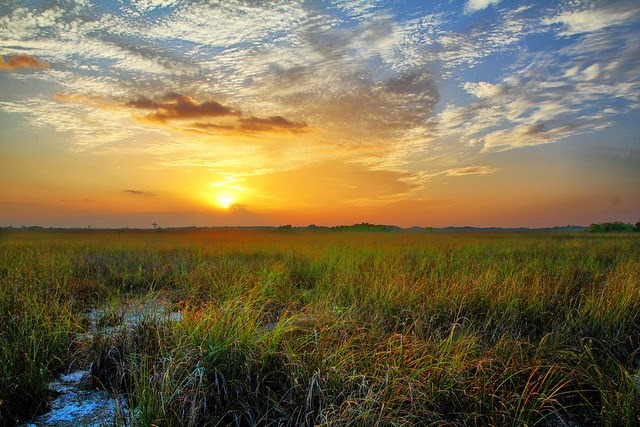 Shingle Creek is an amazing expanse of Everglades’ with headwater and airboat trips which will allow you to spot alligators and bald-eagles on a guided eco-tour. The beautiful Wekiwa Springs State Park is a 20 minute drive north from Orlando and this is another great spot for kayaking and canoeing along the Wekiva River. 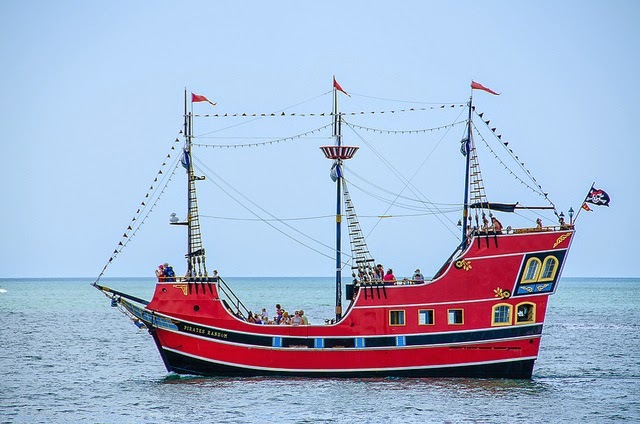 A boat ride makes for an exciting day out and kids will love themed cruises such as the day trip to Clearwater Beach with a Pirate Cruise included. This is an excellent way for parents to relax on board with lunch while the children take part in face painting, treasure hunts and water games. Families who enjoy fishing can indulge in an intrepid four hour deep sea fishing tour, which includes lunch at a riverside restaurant before the fishing expedition on the Gulf Coast. Cruises will depart from Clearwater Beach but the 90 minute trip from Orlando will be included and you can also explore Clearwater’s amazing white sand beaches. Orlando can provide many memorable vacation experiences if you take the time to fully explore what’s on offer. Families who love the outdoors lifestyle will find something new to enjoy every day in America’s most popular city. Author bio: Susan Laing is a busy mom of two, flower arranging business owner and holiday enthusiast. She also likes to shop for shoes and handbags, a lot! Images by josue armando serrano, Chris Foster and Robert Neff used under creative commons license.